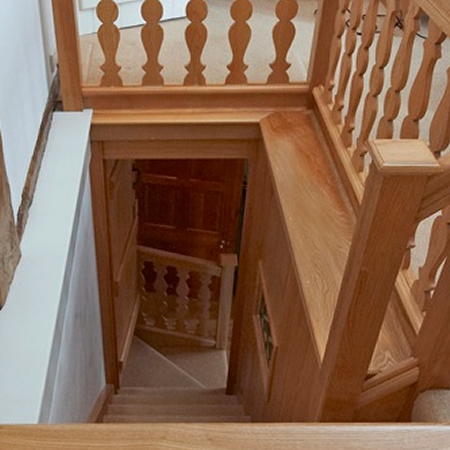 STAIRCASES ARE A PARTICULAR LOVE of ours. 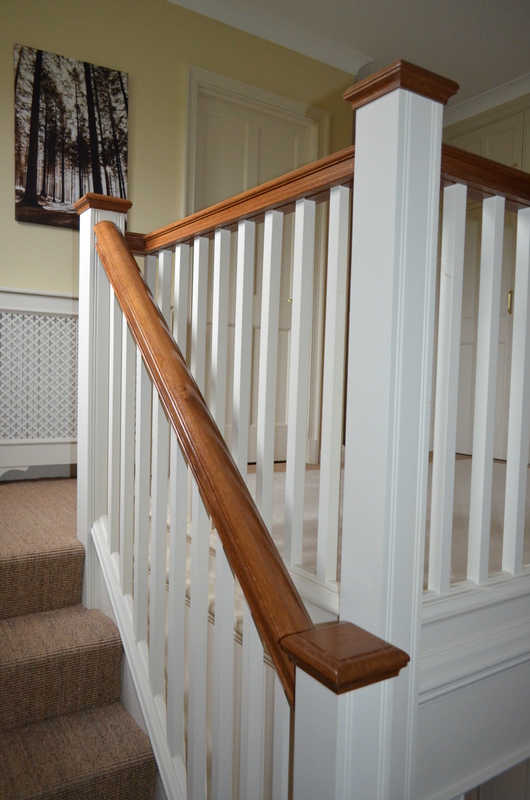 A staircase that works well in a house should be a focal point because it brings a seamless unity to the upper and lower floors of a building. Staircases can be made to be almost invisible and utilitarian or the defining statement in the building. 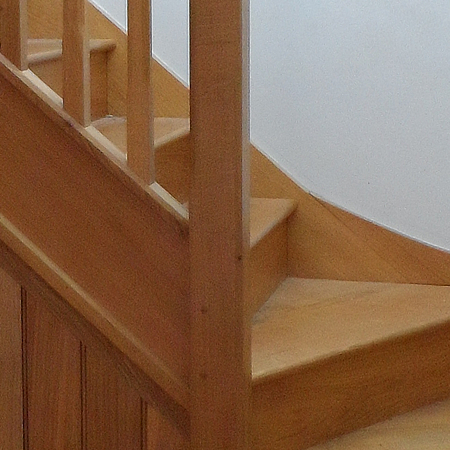 They often provide design and structural challenges as well as the opportunity to use many different materials and techniques. 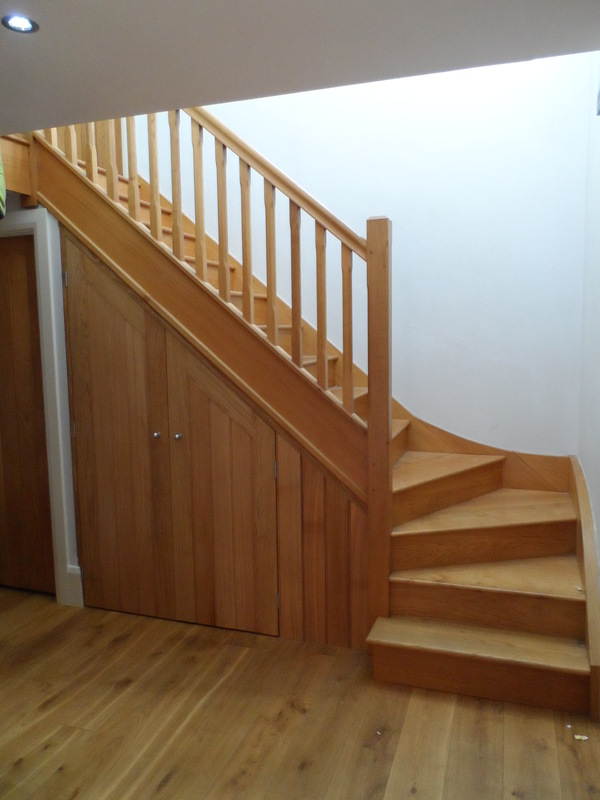 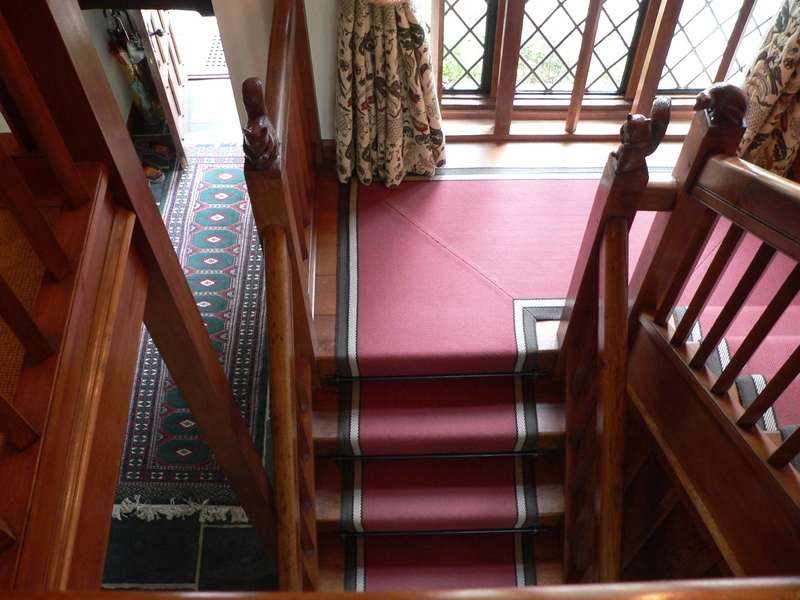 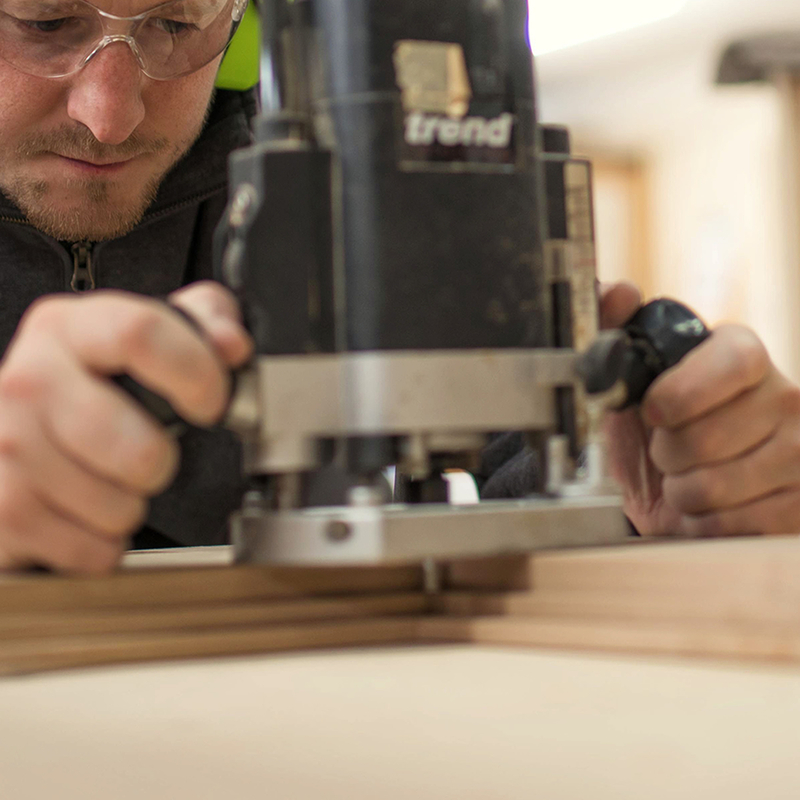 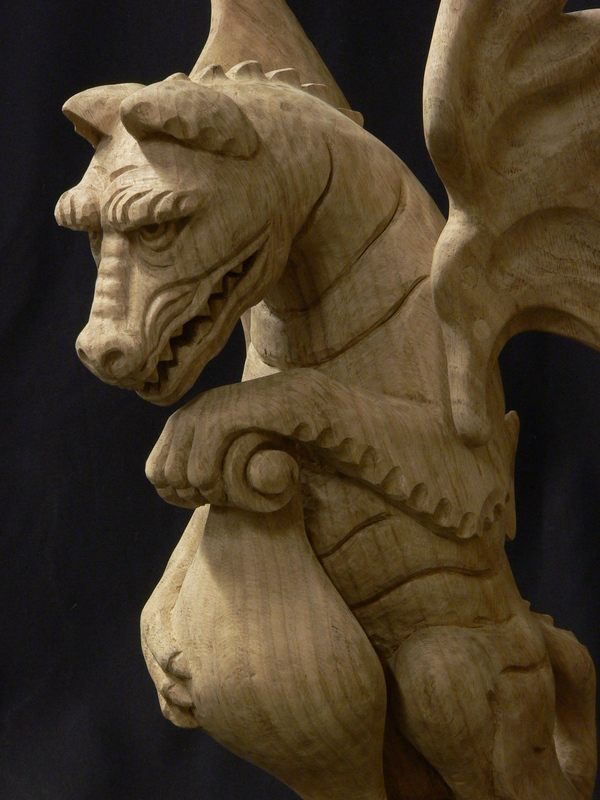 We provide custom-made staircases designed to your own specifications. 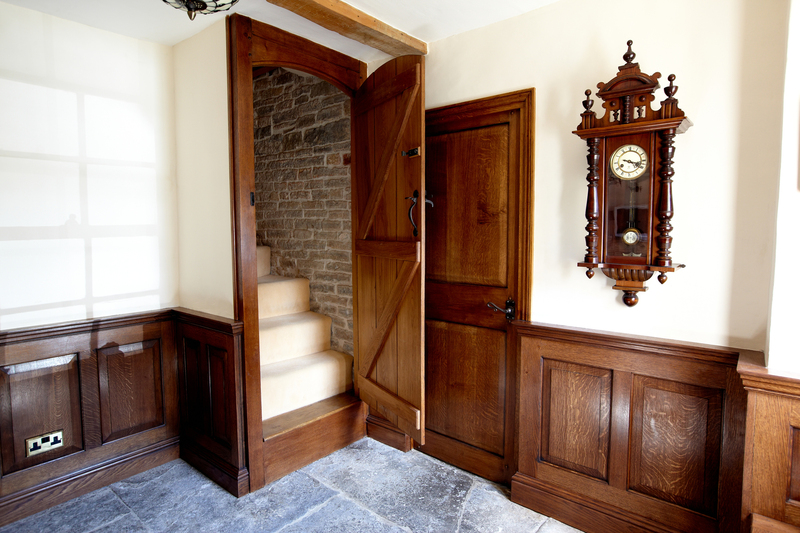 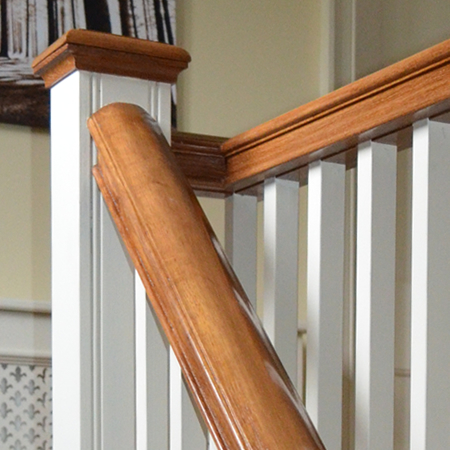 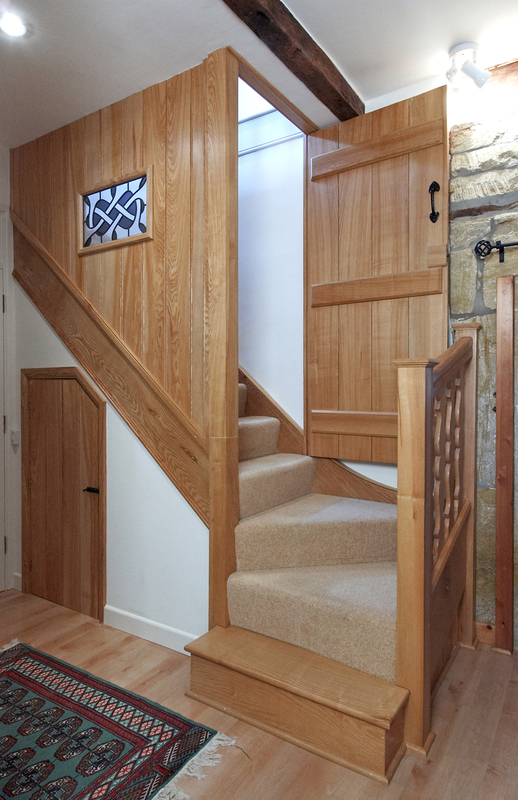 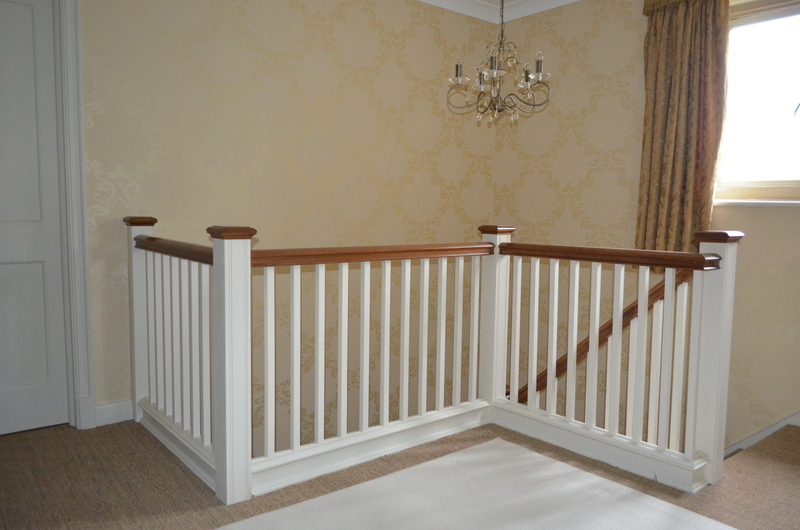 Our staircases range from traditional designs manufactured in European oak and French polished by hand to softwood Georgian style designs with a painted finish. 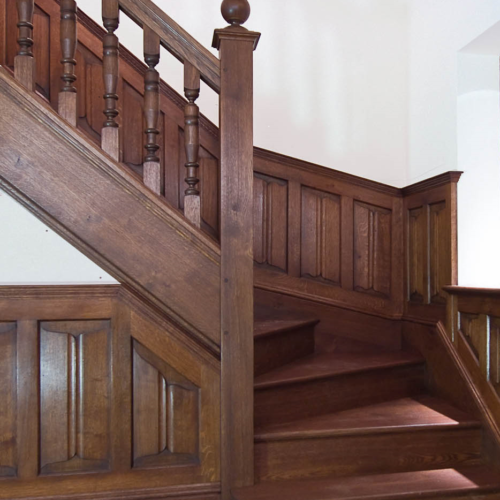 Staircases enjoy a permanence that little else in a building enjoys so they should be perfect for the space. 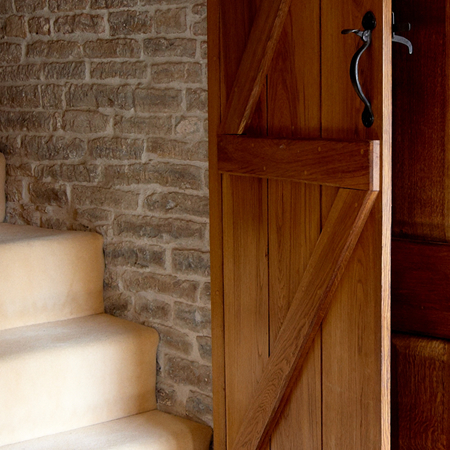 Strength and clever design that makes best use of the space, is balanced with a lightness of touch. 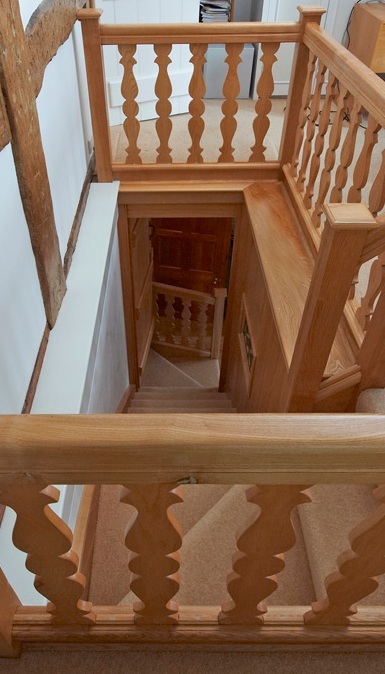 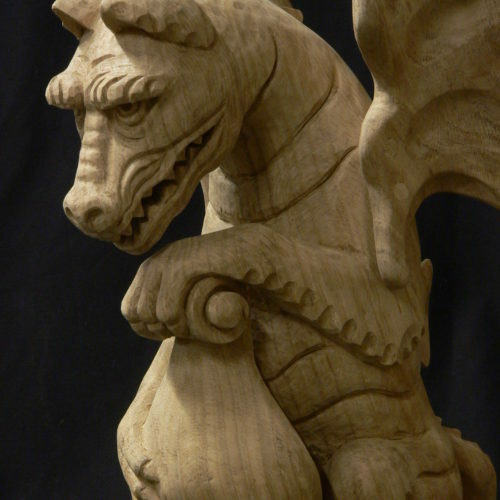 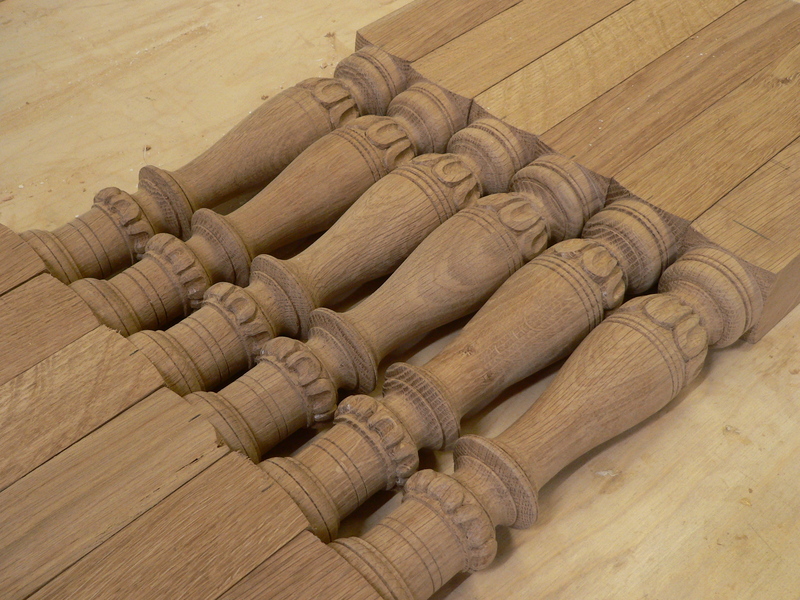 Subtle detail in the splats, spindles, and balustrades to suit the design can be mixed with flamboyance and statement pieces such as hand carved or turned finials.